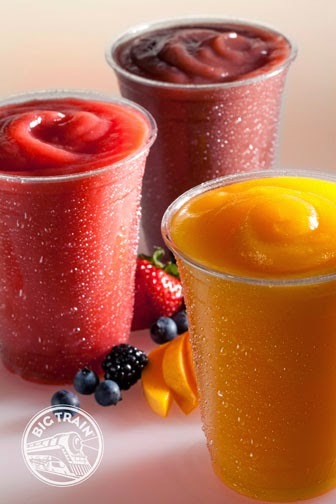 Smoothie Tip: You don't need a recipe to make a healthy smoothie. 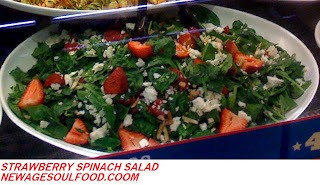 Just start out with the 2 - 3 fruits you like, water and a handful of spring mix or spinach or any lettuce. Just remember to refrain from using processed ingredients. Peel, dice and freeze the mango. Place the water and dried cranberries in blender and refrigerate overnight. In the morning, add the spinach and avocado puree until creamy. Add the frozen fruit and more water if needed then puree until the desired texture is reached. In a bowl, whisk together the juices, salt, and pepper. Add the cilantro, dill and garlic whisk until all is combined. Pour mixture in a baking dish and place the fillets in the dish. Cover dish with foil or plastic wrap and let salmon marinate 1 – 2 hours in the refrigerator, turning once. 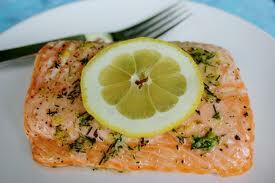 Remove salmon from refrigerator and let it sit for 30 minutes or come to room temperature before placing in the oven. Turn fillets again and top with almonds and lemon slices place in oven and bake, uncovered for 20 minutes. Place ham cut side down in a foil-lined roasting pan. lace the whole cloves in the scored intersections. Combine syrup, allspice, honey, butter, brown sugar, orange juice, and pepper in the top half of a double boiler, and heat until the butter melts and mixture is smooth, stirring occasionally. Keep this glaze in the top of a double boiler, over hot water, while baking ham. Brush glaze over ham, then cover with foil. Bake for 1 hour and 15 minutes at 325 degrees, basting ham every 10 to 15 minutes with the warm honey glaze. During the last 5 minutes of baking time, remove the foil and turn on broiler to caramelize the glaze. Watch the ham carefully during the broiling time! Remove the ham from oven, cover with foil, and let sit for 10 minutes before serving. Whisk together brown sugar, cornstarch, salt, cinnamon, nutmeg, ginger apricot nectar, orange juice and grated orange peel in a saucepan; bring to a boil over medium heat. 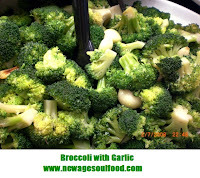 Reduce heat to medium low, and cook for 2 minutes, stirring constantly until sauce is thick. Let sauce cool to room temperature. Place the diced yams and pecans into a baking dish, and pour the cooled sauce over them. Mix until all is coated. Bake in a preheated oven uncovered for 45 minutes or until potatoes are fork tender. 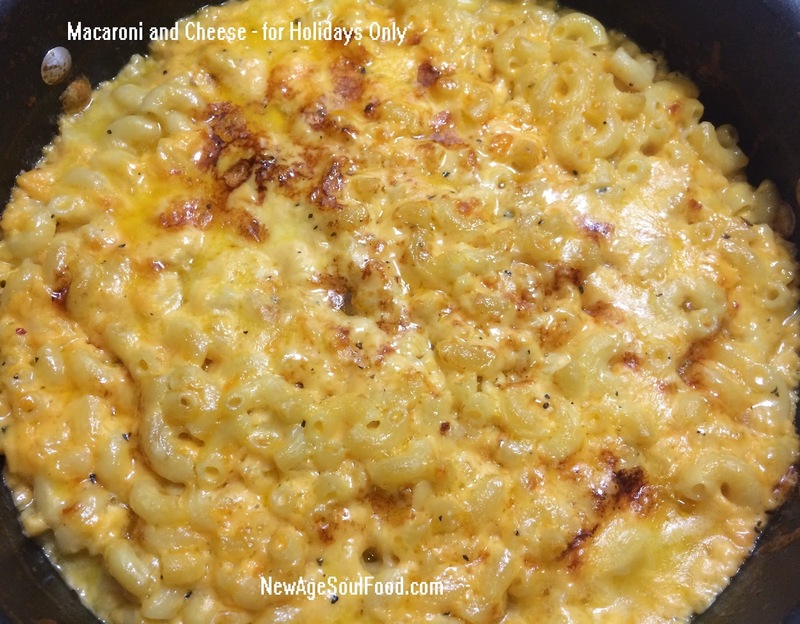 Cook macaroni until it's al dente: In a large pot, pour in 4 quarts of water, add salt, granulated garlic and granulated onion and bring to a boil. Once water is boiling, add the macaroni, stir and bring the water back up to a boil. Remove the pot from the heat and cover. Let the pot sit covered and undisturbed until the cooking time stated on the box is reached. Approximately 7 minutes. Meanwhile, in a small sauce pan, add the milk and butter heating just long enough to melt the butter. 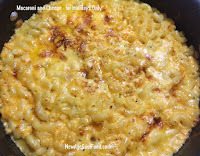 Once the cooking time has elapsed on the macaroni, drain it and return it to the pot. Add the paprika and basil and mix thoroughly. Add the warm milk and mix thoroughly. Add the cheese and mix until well combined. throughout the dish. Mixture should be moderately moist, if needed add more milk. Taste for flavor and adjust the seasoning accordingly. Transfer mixture to a baking dish. browned on the top and all of the milk is absorbed. 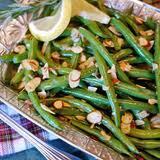 In a saucepan add the green beans and bay leaf. Bring water to a boil. Cook until beans are tender-crisp, about 6 minutes. Drain and remove bay leaf. 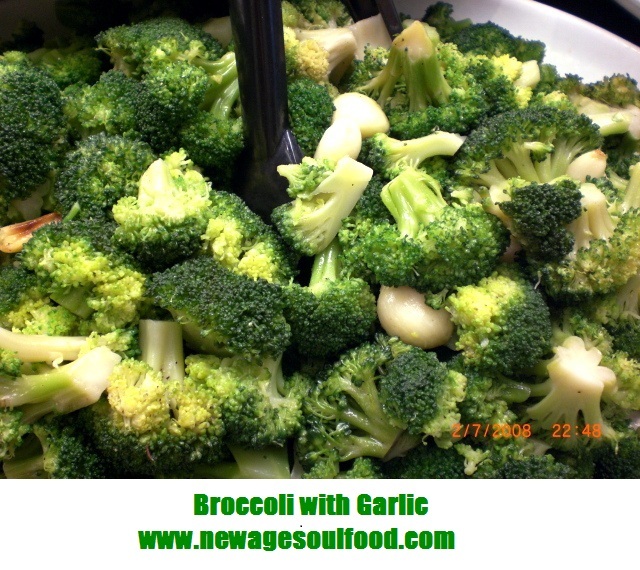 Heats a sauce pan add almonds and dry roast almonds until they are slightly brown. Add olive oil, lemon zest and juice, rosemary and green beans, season with salt and pepper. Mix thoroughly and for a few minutes then transfer to a serving dish. Squeeze the lemon juice into a large pot of boiling water then add the lemon. The juice is important as it seals the color in the cabbage. Add the cabbage to the boiling water and boil approximately 3 minutes then drain thoroughly, discard the lemon. In a skillet over medium heat add the olive oil and onions; sauté stirring frequently until onions are caramel in color. Add the apples and cook until apples are slightly softened. Add the juice from the orange, maple syrup, vinegar, salt, pepper,bay leaf and cloves, mix thoroughly. 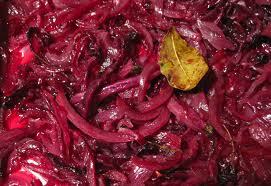 Mix in cabbage and cook 13 minutes stirring frequently. In a mixing bowl, cream the sugar and butter, beat until light and fluffy. Add the eggs one at a time and mix well after each addition. In a separate bowl, sift together the cake flour, salt, baking soda and cocoa powder. In another bowl, add the food coloring, buttermilk, vanilla extract and vinegar and mix thoroughly..
Pour 2 cups of the flour mixture into the creamed butter, mix and add 1 cup of the buttermilk mixture. Continue mixing alternating between the flour and buttermilk mixtures until all ingredients are added. Pour batter into 2 (8-inch) round cake pans, greased and floured. Bake for 20 to 25 minutes, or until a toothpick inserted into the center comes out clean. Remove from heat and cool completely before icing. Using a double boiler, whisk together the buttermilk and flour until smooth. Cook until mixture is thick. Refrigerate until cool [while cake is baking]. Once cake is done and you sit it aside to cool, start putting together your icing. In a medium bowl, add butter make sure it‘s at room temperature or soft enough to cream. Then add the sugar, vanilla and cooled buttermilk mixture and mix or whisk until creamy. Add coconut flakes and walnuts then mix thoroughly. Once cake is cooled you can begin icing it. Spread icing between layers and on top and sides of cake. In a medium size bowl, mix together the dry ingredients. Rub the seasoning over the chicken. Cover the chicken with plastic wrap and place in the refrigerator overnight. 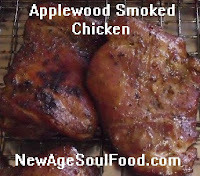 Place wood chips in the smoking tray of the grill. If you don't have a smoking tray, you can make a packet out of aluminum foil and punch a few holes in the top of it with a fork and place directly on the hot coals. Place the chicken on a hot grill over medium-heat with the meat side down. Grill over the wood chips for 1 hour and 20 minutes. Cover, this will keep in the smoke and to prevent oxygen from igniting the smoking wood. After 30 minutes turn the chicken to its opposite side. The juices near the bone should run clear. Preheat grill or broiler to medium heat. Rub corn with 2 tablespoons of canola oil and season with salt and pepper. Grill or broil corn for 7 minutes or until ears are lightly browned. Remove from grill and let it cool. 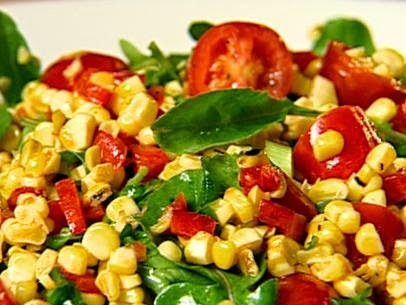 Cut the kernels off the cob and place it in a large mixing bowl along with the cherry tomatoes, red pepper, scallions, and arugula. In a small bowl whisk together all the ingredients. Toss the salad with the dressing and serve. In a large stock pot, heat the oil and saute the onions for 2 minutes, add the garlic and saute another minute. Add the vegetable broth, crushed tomatoes, sugar, basil salt and pepper; cook 45 minutes to 1 hour. Taste for season and adjust salt and pepper as needed. Remove from heat, stir in the cream then puree with an immersion blender or in a food processor. 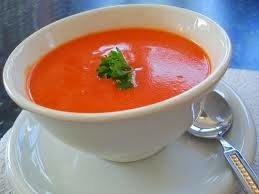 If pureeing using a food processor, return pureed soup to the pot then stir in the fresh basil.